“Balancing two bands is a complex task…one shines and the other simmers. Now it’s time for Blaqk Audio to shine.” Well, well, well. Never one to mince words, Jade Puget recently issued the foregoing statement not as a justification, but as a rallying cry. Puget and AFI bandmate Davey Havok are ready to debut Bright Black Heaven—the sophomore offering of their electronic brainchild Blaqk Audio, and as far as they are concerned, September 11th could not arrive soon enough. Blaqk Audio, for all its artistic spontaneity, however, did not emerge ex nihilo from the AFI ether. Rather, the band’s origin lies in Puget & Havok’s collective penchant for electronic dance music—a taste that, for both musicians, dates to the heyday of the electro-industrial wave: that never-never(again) land of the late 1980s. Bands like Skinny Puppy, Depeche Mode, and Nitzer Ebb were among the first to colonize the musical territory of Puget’s mind; meanwhile, Havok steeped himself in the soundscapes of The Pet Shop Boys, Devo, and Front 242. Their artistic and professional commitment to celebrated multi-platinum rock juggernaut, AFI, however, left Puget & Havok little time to indulge their electronic itch. “Jade and I never considered Blaqk Audio to be a side project,” Havok reflects. “As with all our artistic creations, we care about it deeply.” Havok is dealing in understatement. Puget and Havok care so deeply for Blaqk Audio, in fact, that they forged a record label—Big Death—for the sole purpose of advancing the Blaqk Audio agenda. “Hopefully some of our electrophilic friends will join us on the roster,” Havok muses, no doubt in earnest. And Havok’s predictions have certainly borne fruit in the past. The relentless work ethic that fueled AFI’s rise to the apex of the modern rock circuit speaks for itself as an endorsement of Blaqk Audio’s potential. Adjectives like boundless come to mind. But we don’t trade in adjectives, do we? “Bliss,” another standout and easily the darkest track on the album, lays claim to the symphonic drama one assumes to be the purview solely of film soundtracks. This dramatic flourish finds a lyrical echo. “When you find you are exposed to me,” Havok warns, “cover up everything.” Adding dimension and context to such darkness, Puget and Havok transition through the lithe and reverberant “Bon Voyeurs” into “The Witness”—a showcase for Havok’s immense vocal range and a collage of churning verse and transcendent chorus readymade for the arena. “Who needs forgiveness when we all speak fluent lies,” the song demands. “Here is deliverance. You’re in it.” Instead of platitude, we have plea; instead of complaint, observation. Is there something for the AFI fan in Blaqk Audio? Certainly. When prompted to relate his band to the AFI legion, Havok invokes Blaqk Audio’s dynamism and talent for churning out dramatic “big-room” anthems: musical signposts familiar even to the casual AFI fan (if, indeed, there is such a thing). 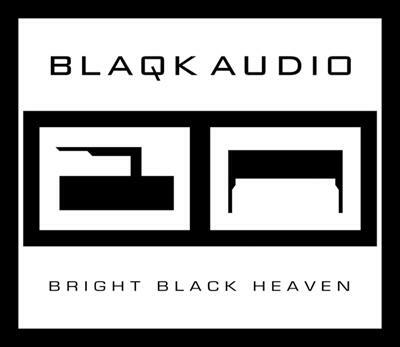 And it seems that we have only seen the beginning of Blaqk Audio. 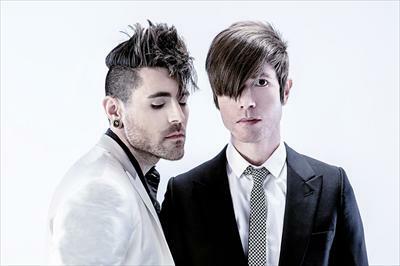 “We had more than enough songs to release a full length album [as early as] 2010,” Davey confesses. Held back by obligations to a former label, Havok & Puget were forced to delay the Blaqk Audio onslaught; their writing process, however, was not subject to legal impediment, and as such, flourished. The musical current linking Havok and Puget has already revealed itself as a fountainhead of inspiration and momentum. Now rolling, Blaqk Audio gives us no occasion to expect pause.